The National Institutes of Health will not use its rights under the Bayh-Dole Act to end the monopoly on the expensive prostate cancer drug Xtandi and allow low-priced generic versions to compete on the market. Dr. Francis Collins, Director of the National Institutes of Health (NIH) rejected the Xtandi petition without addressing the obligation to make the drug available on reasonable terms. 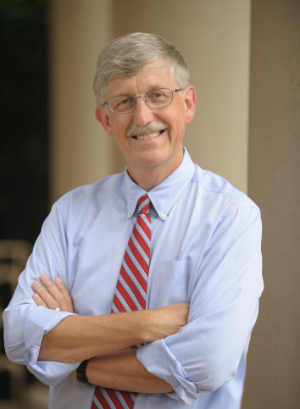 Washington, DC — National Institutes of Health (NIH) Director Francis Collins informed Knowledge Ecology International (KEI) and the Union for Affordable Cancer Treatment (UACT) today that the NIH would not take action to lower the price of an expensive taxpayer-funded prostate cancer drug (copy of decision by Collins here). Researchers developed the drug, Xtandi, at the the University of California, Los Angeles, with the support of taxpayer funds from the NIH and U.S. Army. Astellas Pharma, a Japanese pharmaceutical company, sells Xtandi in the U.S. for over $129,000 per year ($88.48 per pill), a price two to four times higher than other high-income, high-GDP countries. Background on this case, including the original petition, is available here: http://www.keionline.org/xtandi and http://cancerunion.org/xtandi.html. KEI and UACT requested that the NIH use its authority under the Bayh-Dole Act to break the monopoly on Xtandi in a January 2016 letter. As noted in the letter, the NIH has both march-in rights, which allows the NIH to issue a non-exclusive license to any generic manufacturer, and its own non-exclusive, royalty-free license to allow Xtandi to be manufactured for use by the federal government. In his letter to KEI and UACT, Dr. Collins cited the lack of a shortage of Xtandi as justification for not using the government’s rights to enable generic competition. Dr. Collins’ letter did not evaluate evidence provided by KEI and UACT that Astellas charges U.S. residents prices that are far higher than those available to non-U.S. consumers, and that price discrimination against U.S. residents is not consistent with making the product “available to the public on reasonable terms,” as required by the Bayh-Dole Act. Nor did Dr. Collins address the evidence that the unreasonably high price for Xtandi limits patient access, places the drugs on restrictive formularies, causes strain to healthcare budgets, and requires patients to pay unreasonably high coinsurance and copayments, all justifications for the use of the NIH’s march-in rights under the Bayh-Dole Act. Moreover, the NIH does not need to justify use of its non-exclusive, royalty-free license for government use of Xtandi, an issue that Dr. Collins’ letter did not address even though it was central part of the request, and the subject of a recent op-ed in Nature Medicine (http://www.keionline.org/node/2591). In late April, the Canadian generic manufacturer Biolyse Pharma offered to sell Xtandi for $3 per pill to the Federal government for use by Medicare and in developing countries. Xtandi is one of the costliest drugs under the Medicare Part D prescription drug program. In 2014, the U.S. Medicare program alone reported outlays of $447 million on Xtandi. The costs to U.S. taxpayers and employers now, in 2016, are far higher. A lower price for Xtandi would significantly reduce out of pocket costs for patients and allow insurers to remove the drugs from restrictive formularies that limit access. KEI plans to submit an appeal of Director Collins’ decision to the Secretary of Health and Human Services, Sylvia Burwell. Specifically, KEI plans to challenge the NIH’s flawed legal rationale in regards to its use of march-in rights and its lack of analysis on its refusal to use its royalty-free license. KEI also plans to refile this case after a new President takes office next year if HHS declines our appeal. Public Citizen and UAEM were among the several NGOs that called upon the NIH to hold a hearing on the Xtandi petition. “Today Director Collins passes once again on an opportunity to make medicines affordable, preferring to allow drugmakers to price gouge the public with the full blessing, and indeed the support, of our government. “Medicines are unaffordable because pharmaceutical companies abuse the monopoly powers we give them, through patents and other exclusivities. Until the U.S. government confronts this problem, we will all pay ever higher prices for the medicines we need. We will pay higher insurance premiums and suffer further treatment rationing.